I have just one job this morning and that is to talk about Spotify’s newest competitor – Tidal. 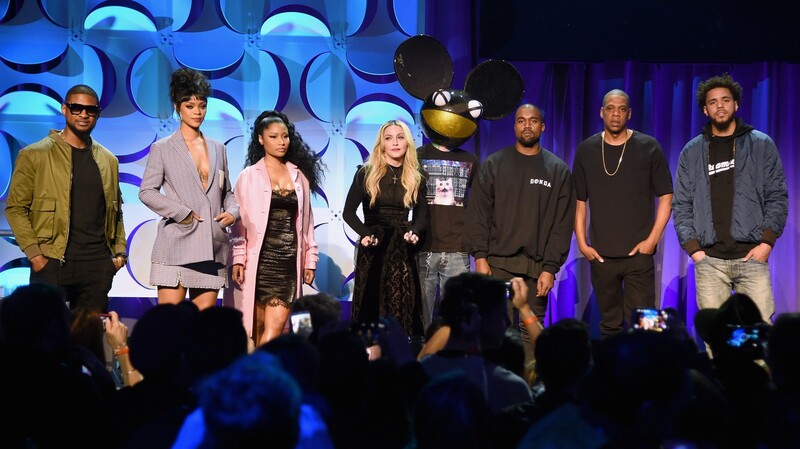 The new music streaming service is owned by Jay-Z but has support from some MAJOR backers, including: Kanye West, Daft Punk, Jack White, Rihanna, Madonna,Usher, Alicia Keys, Beyonce and more! The celebrities all made an appearance on stage in NYC yesterday when the announcement was made. Here’s the thing: I (already) switched. As I watched the live stream, one of the artists made a comment that really hit home (I’m paraphrasing here), “Somehow the music became about the tech companies when it should be about the artists. Somehow it switched and now it’s time for it to switch back. To focus on the humans, the art, not the tech.“ As a techie, this statement makes me a bit uneasy but it is SO VERY true – see why Taylor Swift left Spotify via Time Magazine (she’s still not on Spotify) and why she recently gave most other catalog to Jay-Z’s new service, Tidal. People are going to flock to this service for the celebrity, but mostly in support of the MOVEMENT: content owners/developers take control, tech loses.